Publisher: Touchstone. A division of Simon & Schuster, Inc. The Incarnations is an eclectic story woven with bits of historical fiction, mystery and violence. It follows the life of Taxi Driver Wang in 2008 as China prepares to host the Olympics. Driver Wang is married and has a young daughter, Echo. Wang is somewhat content with his life, living in a modest home, despite having a very wealthy and powerful father. He lives his life day in and day out driving his taxi by day and comes home to his wife and daughter at night. This is the norm, until one day he discovers a letter left in his cab. The author of the mysterious letter confesses that they have been stalking Wang for quite some time and and proceeds to tell him that they know him better than he knows himself. If this wasn't enough, the writer also mentions that they knew Wang in a past life. The letters keep coming leaving Wang on edge fearing for his family. He becomes obsessed with unveiling his stalker and does not consider the consequences his actions may have on his family. The Incarnations was a gripping, yet depressing story. The story flips back and forth between 2008 and Wang's past Incarnations all taking place in ancient China. There is however, one common theme in all of his past lives. He is a person who seems to be destined for unhappiness and treachery. There were moments were I really wanted to give up on reading especially during the tales of Wang's past lives, I found a few of these parts to be a bit long. My determination to discover his stalker's identity is what kept me going. 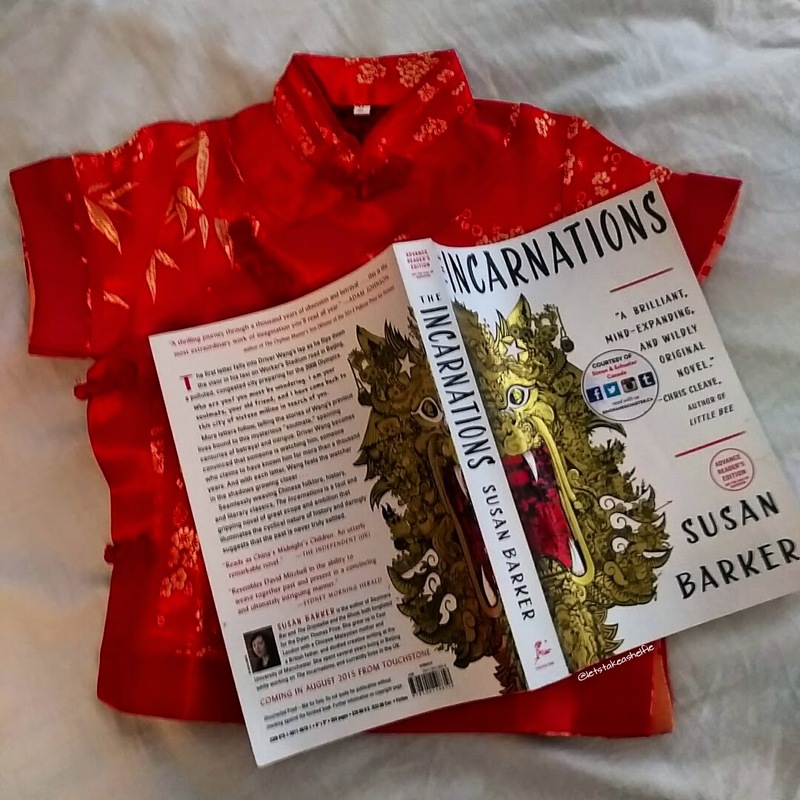 Overall, The Incarnations was an intelligently written novel, perfect for anyone who is looking to learn more about China's history while attempting to piece the puzzle that is Wang's past. Disclaimer: I won a Advanced Reading Copy of this book from the publisher via a Goodreads contest. All opinions are my own. More information about The Incarnations by Susan Barker can be found here.